Prince Paul announced the formation of BROOKZILL! late last month alongside Digable Planets' Ladybug Mecca, Rodrigo Brandão (a.k.a. Gorila Urbano) and Don Newkirk (the Dix). Before the arrival of their debut Throwback to the Future, the collective have shared another new mix and news of their first live performance. As part of the collective's series of member-inspired mixtapes, the latest was inspired by Ladybug Mecca. Running a little over 12 minutes, you can hear the release in the player below. In addition to the new mix, the group have announced that their first live performance will take place in New York City, where they will take the stage at SOB's on September 14. Pitchfork reports that Gorila Urbano described the show as a "spiritual hip-hop ceremony and culture clash inna b-boy stance." Throwback to the Future is set to arrive on October 7 and will feature contributions from a host of Brazilian artists, keyboardist Brian Jackson, Del the Funky Homosapien, Count Bass D, Kid Koala, Mr. Len and more. Pre-orders for the record are available here. Scroll through the tracklist to find an introductory video and the Ladybug Mecca-inspired mix below. 12. Let's Go (É Noiz)! 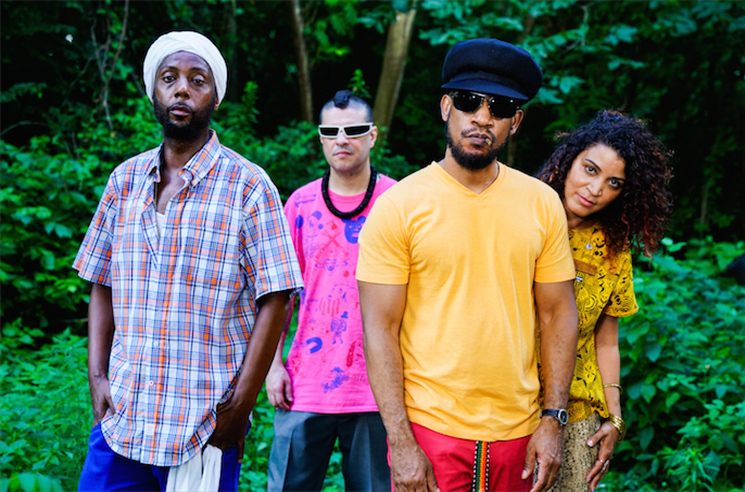 Prince Paul and Digable Planets' Ladybug Mecca Form BROOKZILL!